This material was recorded in different tropical ecosystems of the Colombian Orinoquia (this region is a big savannah furrowed of rivers) in the sunrises, the sundown and the night during two weeks in April 2013 in the Meta department and complemented with one recording of the 2011 in the Tuparro Natural Park. The recordings were made in natural ecosystems without acoustic pollution. The phonographic materials were intervened the less possible, with the objective that the field recordings express some of the corporal experience. Tepuy of the Guayanes shield in the Tuparro National Natural Park at night. Sunrise in a Gallerie forest. Their main characteristic is to be the only shore in the rivers of the savannah Meta department. For somebody like me, who has never ventured outside of Europe before, the opportunity to sit back and listen to the sounds of tropical ecosystems is always something I relish. So when I saw that our friends over at Gruenrekorder were releasing a selection of Colombian soundscapes, I just had to take this one on. Field recordist and sound artist José Ricardo Delgado Franco is the man responsible for this fine collection. In 2013 he spent two weeks exploring and recording the different ecosystems found within Colombia’s Orinoquia Natural Region – savannah, gallery forests and wetlands. Focusing on the Meta department, Franco recorded the natural sounds of this vast landscape from dawn to dusk and on into the night. The end result is a compilation of seven soundscapes that allow us to get a sense of the habitats visited and species encountered. An additional recording, made in Tuparro National Natural Park two years earlier, complements the set. So many wonderful sounds are experienced when listening to Franco’s selection. Alien to my ears, these unknown voices fill me with curiosity. What species is making that sound? Is it a bird, or maybe an amphibian? Some species have been identified – the notes tell us that we are hearing the calls of Tufted Capuchins and Red Howler Monkeys for example – and I think this is an important addition. This information reminds us that these are not just “exotic” noises that sound nice but are the voices of living, breathing animals that vocalise for a reason, just like we do, and are essential to the correct functioning of that habitat. José Ricardo Delgado Franco is a field recordist with obvious talent. 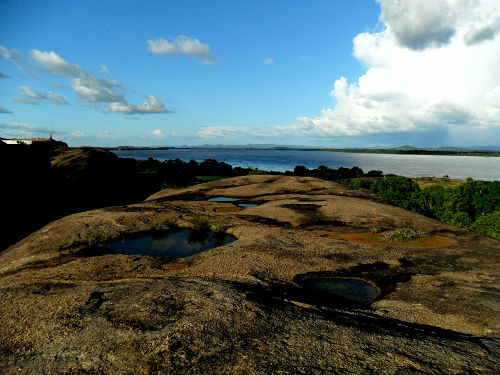 ‘Sound Atmospheres of the Colombian Orinoquia’ introduces the listener to the many sounds of this region, giving us a glimpse into Colombia’s rich biodiversity and reminding us of the need to preserve this unspoilt land. 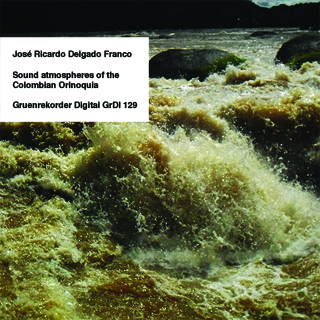 From the prolific Field Recording Series of the German Gruenrekorder label, this time we have the opportunity to know the work of Colombian sound artist José Ricardo Delgado Franco graduated in 2010 from Andes University of Bogota. 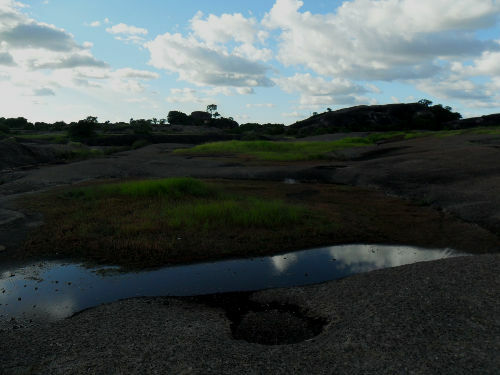 The field recordings were made in different tropical ecosystems of the Colombian Orinoco (this region is a savannah crossed by rivers) at dawn, sunset and the night during two weeks in April 2013 in the department of Meta and is complemented by a 2011 recording in the Tuparro Natural Park. These recordings were intervened as little as possible in such a way to preserve the real atmosphere of these places. 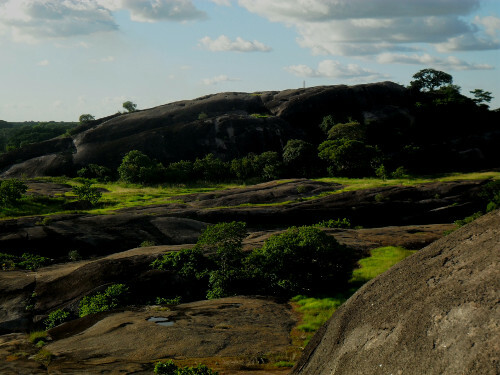 In the seven tracks of this downloadable we can appreciate the rich fauna and wildlife of these places: sounds of insects, different types of frogs, birds, monkeys and natural environments like rivers of the Savannah Meta department. As listeners we can have the opportunity to imagine the natural environment and rich wild life that in nowadays is so important to take care and that through this work, create awareness of the need to preserve the life and nature of these places.